Cappy’s Hotspot Sportsbar & Grill in Lincoln offers delicious eats, top shelf drinks and great entertainment! 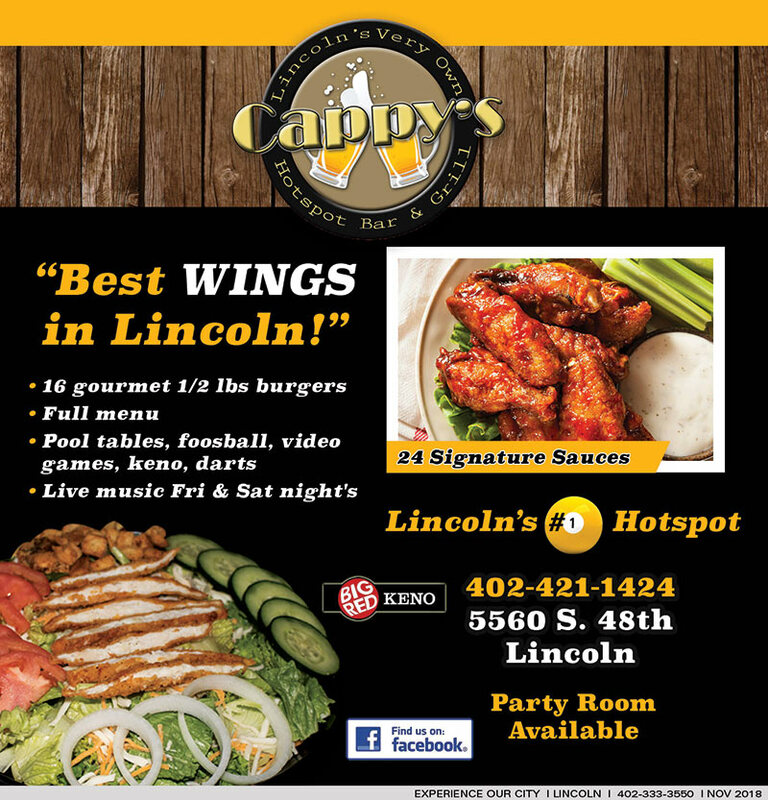 Cappy’s has the “best wings” in Lincoln with over 24 sauces to choose from. Check out the bands schedule on our website!